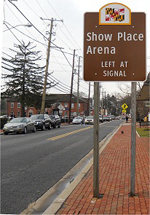 Attraction signs serve as welcome guides placed along select State maintained routes, providing directions to Maryland recreational facilities and cultural treasures. 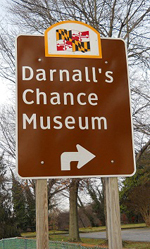 Museums, visitor centers, cultural exhibits, and campgrounds teach visitors and the citizens of Maryland about our State’s rich culture and activities. The Maryland Department of Transportation State Highway Administration (MDOT SHA), in partnership with the Maryland Department of Business and Economic Development (DBED), is accepting applications to join the updated TAC Program. By working with local tourism offices, attractions and counties, the State will have an array of places to visit and experience. If you want a sign for your attraction or recreational facility, download and complete the application below. Incomplete applications will not be considered. Send your application by mail or email. TAC applications are currently being accepted for Somerset and Wicomico counties. Applications are due by June 1st 2019.